Located in Calgary’s Meadow Mile, home to several high-end, high-performance car dealerships, the striking new Calgary Lamborghini store is the first Lamborghini Licensed dealership in Alberta. The sleek two-story building sits atop a hill overlooking a major Calgary shopping district. 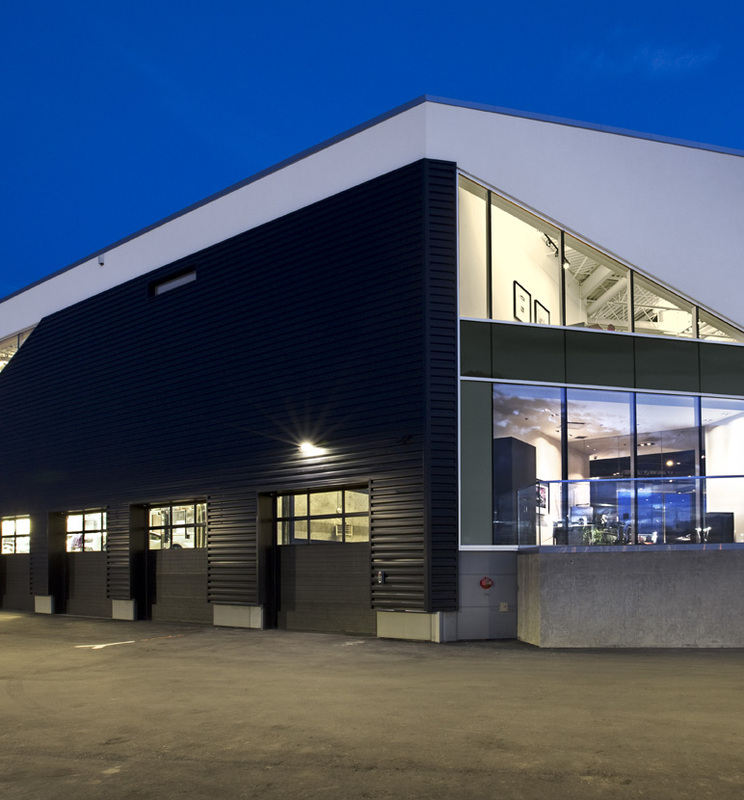 The dealership houses both Lamborghini and Lotus vehicle sales with the ground floor serving as a showroom and vehicle service facility while the second floor provides vehicle storage and leasable space for an office tenant. Careful attention was paid to the architectural design and landscaping. 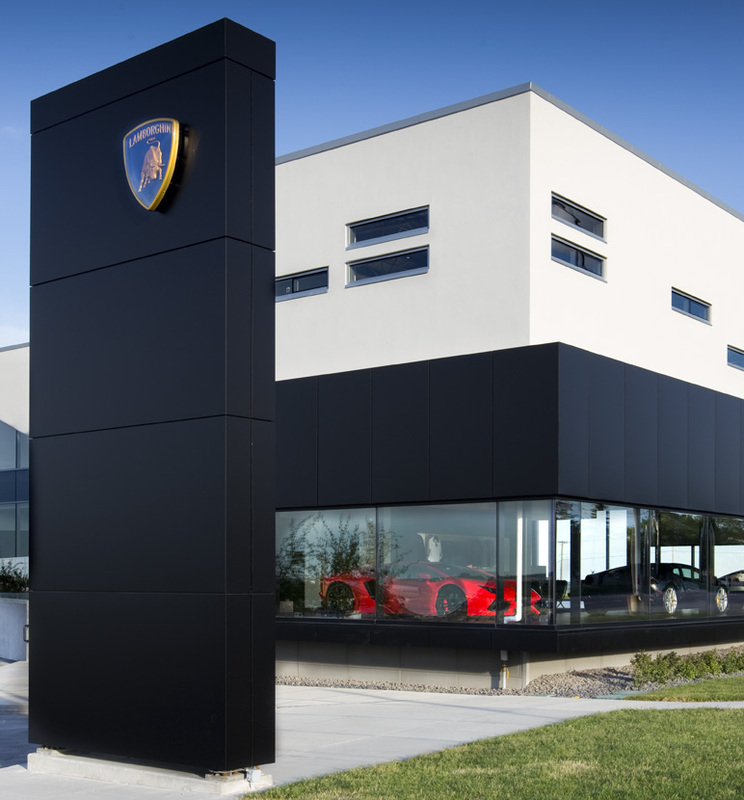 The building, which is considered extremely progressive in its design, sets a new standard for Lamborghini across the world. Challenge: Design a building with elegant and subtle architectural features that focuses the attention on the high-performance, luxury cars. Solution: The low-slung main showroom windows and exterior wall are pushed away from the face of the building creating a picture frame around the cars. The hidden structure within the wall to achieve this was a critical element in realizing the architectural aesthetic.